Minecraft can be enhanced in so many ways, making it feel like you’re playing something new each time. One example is by using Bukkit, which is a great tool for multiplayer servers as it allows plugins to function, which help manage a server. In this post, we’re going to take a look at some of the Best Bukkit Plugins for Minecraft Version 1.13. These are plugins which are supported at that release, not necessarily created during it. All of the buttons below link back to the Bukkit website, where you can download the plugins. If you want to check out some more Minecraft content we’ve covered, check our dedicated area here. WorldEdit is a tool that works in both singleplayer and multiplayer modes. It adds many advanced terrain features to Minecraft, allowing you to place thousands of blocks in a matter of seconds, copy and paste, mass delete, create mountains and so much more. There are a load of tutorials available for this plugin, as well as a Forge version available. From the same developer of WorldEdit is WorldGuard. If you run a multiplayer server, this plugin is a must have. It brings in many features, such as protecting areas from griefing, changing world rules like TNT damage, blacklist certain types of blocks, disable areas for building in unless a user has certain permissions and adds many useful commands. 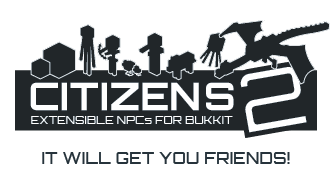 Citizens is an NPC plugin, which will add characters to your Minecraft Server. These can do many different things, such as giving dialogue to players, becoming traders and much more. The developer states that their are unlimited possibilities due to the easy to use API. Dynmap allows you to create highly configurable web based maps. These maps are updated in real time, allowing you to see the locations of players, chat history. Whilst people who are viewing the map can also chat to players in-game. You can choose to set waypoints, which are used to guide other players. This is especially useful if you run a multiplayer server. 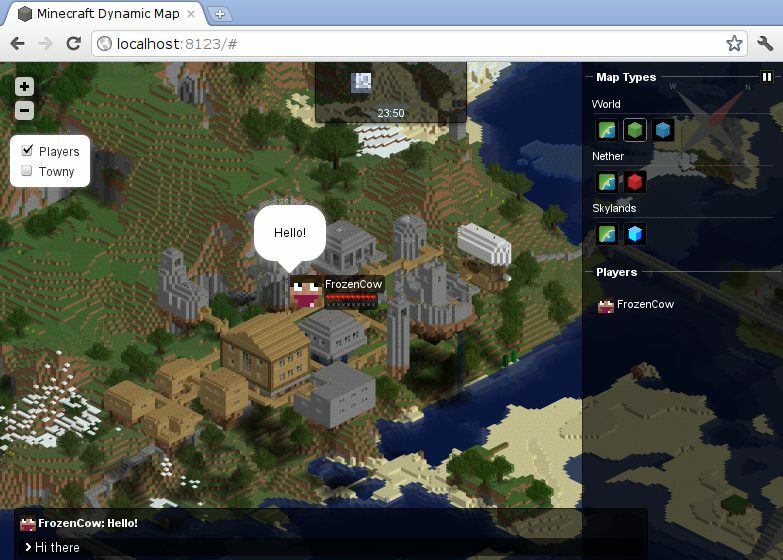 LobbyAPI manages multiple worlds, and allows you and other players to travel between them. This is mostly useful if you manage a multiplayer server, or you have multiple worlds running at once. Using commands or items, you can teleport between all of your worlds easily. Minepacks is a backpack plugin for Minecraft. It features different backpack sizes, different permissions, MySQL support and a long list of commands to configure the plugin. The Holographic Displays plugin allows you to enhance your Minecraft server in multiple ways. Firstly, it allows you to place floating text, which are useful for showing rules, tutorials etc. Whilst you can also place floating icons, animations and show an online player count. 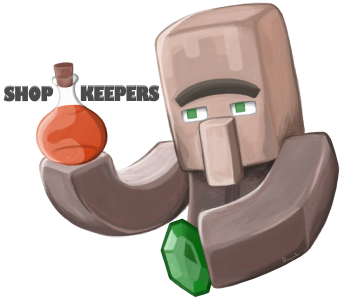 Shopkeepers allows you set up your own custom villagers who will sell exactly what you want, with a cost that you determine. There are admin shops and player shops, which will pull a finite supply from a chest. Players will be able to use different types of shops, which are buying, trading, selling and selling books. A great plugin for setting up a marketplace on your server. LandClaiming is a world protection plugin. Meaning that players on a server can claim land of any shape or size as long as the configuration allows it. That way, players can build without worry of being griefed or attacked by other players. The plugin comes with a list of commands that allow you to configure the plugin in game. 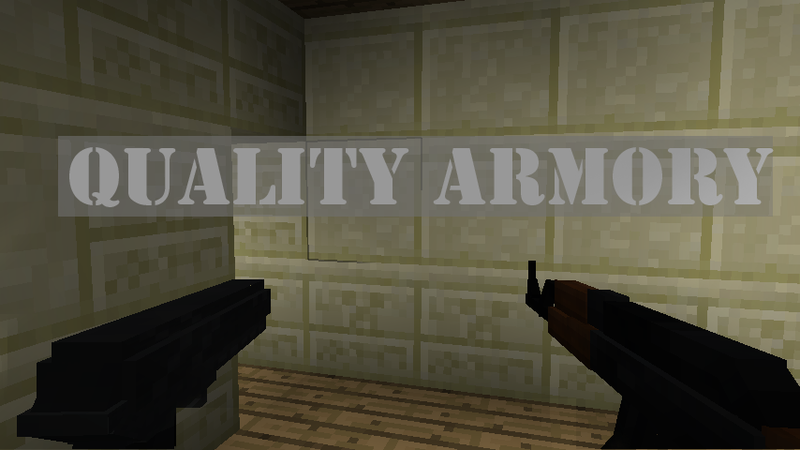 Quality Armory is a Minecraft plugin which allows you to add weapons to the game such as P30, M16, M40, MP5, AK-47, Remmington, HeneryRifle, an RPG, and many more. There is a Wiki, where you can learn how to create the guns in game, or you can spawn them in with commands.